Red Sox Are World Series Champions! With Jonathan Papelbon blowing a 95 MPH fastball past pinch-hitter Seth Smith on a 2-2 count, the Boston Red Sox won Game Four of the 2007 World Series over the Colorado Rockies 4-3 and earned its second World Series title in four years. Third baseman Mike Lowell, who batted .400 with a home run and four RBI in the Fall Classic, was named series MVP, less than two years after coming to Boston as part of the deal that brought American League Championship Series MVP Josh Beckett to the club. Boston only trailed for three innings in the entire series and, after taking Games One and Two at Fenway Park by scores of 13-1 and 2-1, the switch to the high altitude at Coors Field seemed to make little difference to the Red Sox, who won Game Three by a score of 10-5 before closing out the series Sunday night in gritty fashion. Rookie outfielder Jacoby Ellsbury, who started all four games of the series after starting the last two of the ALCS, got Boston on the board first with a double followed one out later by a David Ortiz RBI single on the drawn-in infield. Boston got another run in the fifth on an RBI single by catcher Jason Varitek as Lowell slid home ahead of the tag, and the club got two more runs on solo home runs by Lowell and Bobby Kielty in the seventh and eighth innings, respectively. Colorado made it close with a solo home run by right fielder Brad Hawpe in the seventh and a two-run shot by third baseman Garrett Atkins in the eighth with one out, but Papelbon recorded the last five outs for his third save of the series. The Sox have now won eight straight World Series games dating back to its Fall Classic sweep of the St. Louis Cardinals in 2004, when Boston won its first title since 1918, a span of 86 years. It marks the seventh World Championship in franchise history, and the Sox are the first club to win two titles in the 21st century as it ends a seven-year streak of seven different teams winning the title, which began in 2000 with the New York Yankees. With the Boston Red Sox facing elimination from the American League Championship Series, down three games to one to the Cleveland Indians, Red Sox fans can take solace in the fact that Boston has a recent history of coming back to win when facing early deficits in playoff series. In 1999, the club faced quick elimination from post-season play when they fell behind two games to none in a best-of-five divisional series with the Indians, but the Sox bounced back with two wins at home and won the series finale 12-8 behind two home runs from Troy O’Leary and a memorable relief effort from Pedro Martinez. Four years later in 2003, Boston also fell behind the Oakland Athletics 2-0 in their divisional match-up, but two wins at Fenway Park sent the series back west for the finale, where a three-run home run by Manny Ramirez, seven strong innings from Martinez, and a save by Derek Lowe gave Boston a 4-3 win in the deciding game. Boston is also one of ten teams in post-season history to climb back from a 3-1 series deficit to win the series. In 1986, the Sox were one out away from losing to the California Angels in the American League Championship Series when Dave Henderson’s two-run home run to left field at Angel Stadium gave Boston a temporary one-run cushion; the Red Sox would eventually win the game 7-6 in extra innings to force the series back to the East Coast. There, perhaps still stunned by the turn of events in Game Five, the Angels easily crumbled under the sodium lights at Fenway Park as Boston won Game Six 10-4 and then took Game Seven 8-1 behind a strong effort by Roger Clemens and home runs by Dwight Evans and Jim Rice to win the pennant. Boston also accomplished the same feat 18 years later in one of the most memorable comebacks in league history. Against the New York Yankees in the 2004 American League Championship Series, the Red Sox found themselves down three games to none after getting trounced 19-8 in Game Three at Fenway Park, but Boston won two extra-inning affairs in Games Four and Five to send the series back to New York. After winning Game Six to force a winner-take-all finale, the Red Sox completed the first-ever comeback from a 3-0 post-season series deficit in Major League Baseball with an easy 10-3 win over a shell-shocked New York ball club, with former Boston outfielder Johnny Damon hitting two home runs and driving home six in the effort. Thanks to a strong performance by starter Josh Beckett in Game 1, a game-winning walk-off home run by Manny Ramirez in Game 2, and back-to-back shots by David Ortiz and Ramirez coupled with a strong start by Curt Schilling in Game 3, the Boston Red Sox swept the Los Angeles Angels of Anaheim in three games in their divisional series match-up and will now face either the Cleveland Indians or the New York Yankees in the American League Championship Series. This marks the third time in five years that Boston has punched its ticket for a chance to win a pennant and Boston will begin its quest Friday at home at Fenway Park. Boston has also now won nine straight games against the Angels franchise in post-season history, going back to Game 5 of the 1986 ALCS. Boston got off to a strong start in the series with Beckett pitching a complete game shutout, his second consecutive post-season shutout after blanking the New York Yankees in the deciding game of the 2003 World Series, while Kevin Youkilis and Ortiz each hit home runs to pace the offense. In the second game, despite a shaky start by Daisuke Matsuzaka, the Red Sox and Angels were tied 3-3 in the ninth when Angels manager Mike Scioscia elected to intentionally walk Ortiz with two outs and a runner on second to get to Ramirez, but Scioscia’s move backfired when the Boston slugger drove a pitch high and deep over the Green Monster to give Boston a 2-0 series advantage heading to Anaheim. Then, in Game 3, Schilling pitched seven strong, yielding just six hits and one walk while striking out four to further build his reputation as a big-game pitcher in the post-season. Meanwhile, Ortiz and Ramirez went back-to-back in the fourth inning to give Boston all the cushion it would need, and a seven-run eighth by the visitors sealed the win and the series for Boston. 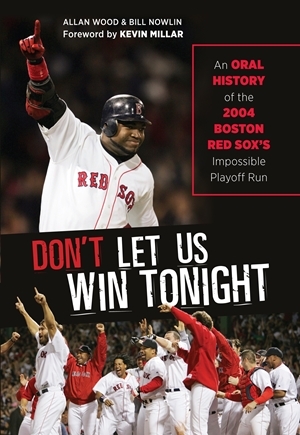 Boston’s last ALCS appearance was in 2004 against New York when the Red Sox came back from an 0-3 series deficit to win in seven games, the last two wins coming at Yankee Stadium; the team then went on to capture its first World Series championship in 86 years, sweeping the St. Louis Cardinals in four games. In franchise history, Boston has won 10 American League pennants and has won three American League Championship Series in five tries. Daisuke Matsuzaka pitched eight strong, closer Jonathan Papelbon pitched a perfect ninth, and Mike Lowell added to his single season franchise-record RBI total for a third baseman as Boston defeated Minnesota 5-2 at Fenway Park; combined with New York’s 10-9 loss in Baltimore, the Red Sox captured the American League East division title for the first time since 1995. 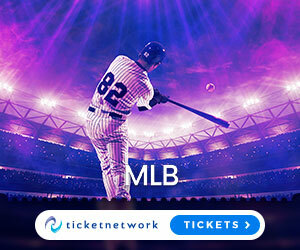 The Yankees, who will enter the playoffs as the Wild Card winner, had won the last nine AL East crowns but, having led the division since mid-April by as many as 11-1/2 games, the Red Sox held off a late-season charge by their biggest rival and will play the Los Angeles Angels of Anaheim, winners of the AL West Division, in the first round of the post-season. Boston is also tied with the Cleveland Indians, winners of the Central Division who will play the Yankees in a divisional series, for the best record in the American League. Based on the Red Sox winning five-of-seven against the Indians in the regular season, Boston would own the tiebreaker if both teams end the season tied with the best record and have home-field advantage for the playoffs. The Red Sox are already guaranteed home-field advantage in the first round and will host the first game of their division series with the Angels at Fenway. Thanks to a three-run ninth courtesy of Jason Varitek’s game-tying home run and Julio Lugo’s two-run shot three batters later, the Red Sox’s come-from-behind win on Saturday night at Tropicana Field over the Devil Rays, coupled with the Detroit Tigers’s 7-4 loss at Comerica Park to Kansas City, gave Boston its first trip to the post-season in two years, the team’s third October in four years, and the club’s sixth post-season appearance in the last ten seasons. The final standings are yet to be determined, as Boston is two games ahead of New York for the lead in the American League East at the end of play Monday with six games left in the season. The Red Sox will be home all week at Fenway Park, hosting Oakland for an abbreviated two-game series before concluding the season with a four-game tilt against Minnesota. Meanwhile, the Yankees, who have gone 47-22 since the All-Star break and won 15 of 21 in September to close a five-game difference entering the month to just two games, will be on the road this week visiting Tampa Bay for three games before finishing the season in Baltimore over the weekend. With a 5-1/2 game lead in the AL Wild Card race and Detroit fading fast, New York is almost guaranteed a playoff spot for the 13th straight season, having made the post-season every year since 1995 when divisional series play began. The Yankees have also won the AL East division nine straight seasons, with the Red Sox finishing second in eight of those first nine years. As for Boston, the team has a chance at its first division title since 1995, finishing that season seven games in front of New York with the second-best record in the American League; unfortunately, the Red Sox were swept out of the first round of playoffs by the Cleveland Indians in three games. As Boston continues to make its push to win the team’s first division title since 1995, a once-comfortable, double-digit lead has shrunk to five games through games played last night. While this may be a cause for concern to some Red Sox fans, records show that in franchise history, Boston has more often than not managed to stay the course and maintain this lead through the end of regular season play. Fifteen times, the Red Sox have held or shared the lead at the end of play on 22 August and gone on to win a division title or the pennant eleven times. The largest lead ever held at this date was a 13-1/2 game divisional lead in 1995, while Boston was tied for the lead in the American League pennant chase in 1967, two years before divisional play began. Only three times has Boston failed to make the playoffs with a lead this late in the season, all within the remarkable span of five years. In 1974, the Red Sox held a 6-1/2 game lead over the second place Indians and a seven-game lead over the third-place Orioles, but a severe late-season slump put Boston in third-place at the end of the regular season, seven games behind Baltimore. Three years later, Boston held just a half-game lead over second-place New York. Despite going 26-15 over the remainder of the season, the Red Sox would tie for second with the Orioles as the Yankees went 28-11 over that same stretch to win the division by 2-1/2 games. In 1978, the Sox owned a seven-game lead over the second-place Milwaukee Brewers and a 7-1/2 game lead over the third-place Yankees, but another collapse, marked by the infamous “Boston Massacre” in early September, dropped Boston as far as 3-1/2 games behind New York. An eight-game win streak to end the season put the two teams in a first-place tie, forcing a one-game playoff at Fenway Park. Unfortunately for Boston, thanks in part to light-hitting Bucky Dent’s three-run home run for New York, the visitors prevailed with a 5-4 win, leaving the Red Sox out of the playoff picture. Only one other time has Boston held a lead at this point in the season and not gone on to win a division title or the pennant, but the Red Sox still made post-season play. In 2005, the club held a 3-1/2 game lead over second-place New York and the lead would get as high as four games on 10 September but, thanks in part to a late-season surge by the Yankees, the two teams would finish with identical 95-67 records. However, New York had won the season series between the two teams 10-9, with the Yankees needing just one win in a season-ending three-game series in Boston to ensure this, thereby giving the Bombers their ninth straight division title. However, the Red Sox would still end up in the post-season as the wild card team.